Valtteri Bottas has identified his driving style as the reason for his recent struggle. In recent races, although the Finn has secured a new Mercedes contract for 2018, he has struggled to match the pace of championship leader Lewis Hamilton. "In Singapore I didn't have Lewis' pace in either qualifying or the race," he admitted in Malaysia. 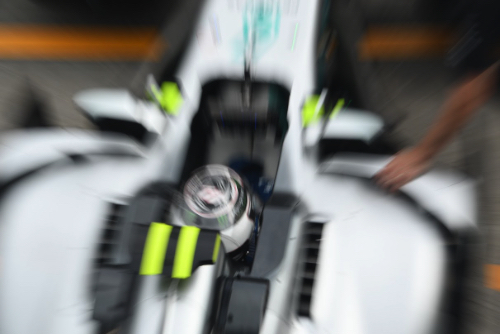 "Together with the engineers we have analysed a lot," Bottas added. "It looks as though my driving style does not fit so well with what the car needs. "So I still need to work with the team and on myself, but I am sure I will manage to do it." Bottas is therefore confident he can turn around his slump, improve in 2018 and set the foundation for a long-term stay at Mercedes. "This year, I had to learn a lot in a short time," he said. "But next year will be a whole new feeling and a fresh start. I can show that I deserve a long-term contract at Mercedes."